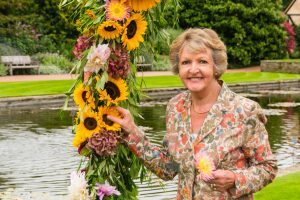 The familiar face of actress Dame Penelope Keith did the honours of opening this year’s annual flower show at the Royal Horticultural Society (RHS) Garden Wisley on 6 September. The spectacular six-day festival of flowers featured a record number of 55 nurseries and 21 trade stands, the Nationa l Dahlia Society Show, and floral displays by the Surrey area of the National Association of Flower Arrangement Societies (NAFAS). Staff from across RHS Wisley spent more than a year planning the event, nurturing plants to make sure they are in their best, most beautiful condition at precisely the right time by working with the participating nurseries and exhibitors.